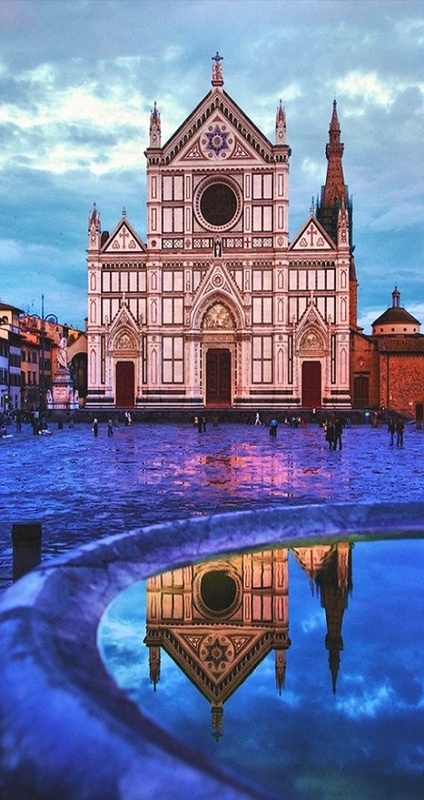 The Basilica di Santa Croce (Basilica of the Holy Cross) is the principal Franciscan church in Florence, Italy, and a minor basilica of the Roman Catholic Church. It is situated on the Piazza di Santa Croce, about 800 metres south west of the Duomo. The site, when first chosen, was in marshland outside the city walls. It is the burial place of some of the most illustrious Italians, such as Michelangelo, Galileo, Machiavelli, Foscolo, Gentile and Rossini, thus it is known also as the Temple of the Italian Glories.